Few words that better describe our Diammonium Phosphate are accurate composition, purity and longer shelf life. Our company is an eminent name, which is counted among the top Manufacturers and Suppliers of Diammonium Phosphate. We formulate Diammonium Phosphate under the strict vigilance of experts. Thus, buying it from us would be the safest option for the buyers. 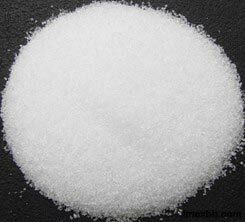 One can obtain Diammonium Phosphate from us in small as well as bulk quantities.